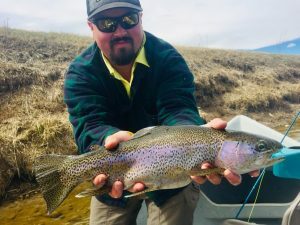 Bighorn River Wyoming Fishing Report Spring Spawn: Fly fishing on the Bighorn River is going quite well right now. The river and the fishing is starting to warm up. 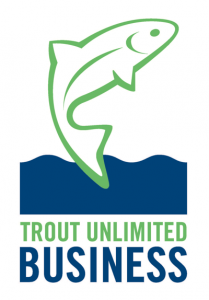 A decent amount of big trout, including Brown Trout and Rainbows are coming to the boat. The first hatch of Blue Wing Olives are starting to come up. This hatch will make for some great dry fly fishing and hunting heads. The Rainbow Trout are in full spawn and on the redds right now. 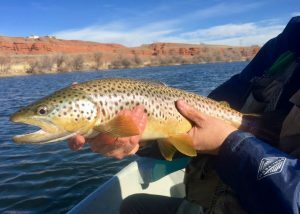 We kindly ask that if you plan to fish the Bighorn River please avoid wade fishing and targeting trout on spawning beds. It is not good sport or conservation minded fishing to these fish. We are catching enough BIG trout in deep water from the boat below the shallows. 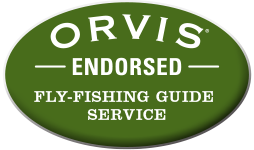 If you would like to join us for a fishing trip or have any questions please give us a call or send us a message on our CONTACT Page.